We’ve seen it happen before, but we really didn’t expect it to happen to these two. 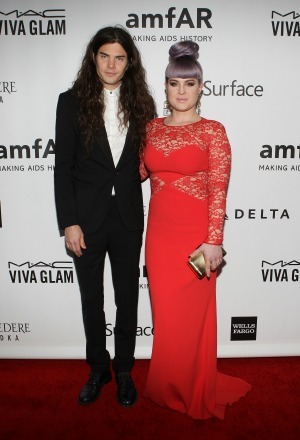 Kelly Osbourne and Matthew Mosshart have decided to call off their engagement. The news that Kelly Osbourne and her beau Matthew Mosshart have decided to call off their engagement comes as quite a shock, considering that just a few months earlier the Fashion Police star was evidently so in love. The couple — who have been together since they met at Kate Moss’ wedding to The Kills rocker Jamie Hince in July 2011 — had decided to take their relationship to the next level during a romantic proposal last summer in the picturesque setting of the Caribbean island of Anguilla. The pair had previously even admitted to being soul mates, and Osbourne gushed about her man to Hello! after the news of her engagement broke. However, the pair have now decided things between them just aren’t going to work out in the long run, and they have now gone their separate ways. The So Undercover actress has yet to address the split directly, but our thoughts are with the former couple. We are only sad they couldn’t work through their differences because they made such a cute pair.